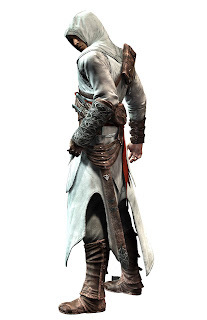 MashButtons: Please, oh Please let there be an Assassin's Creed 2! Please, oh Please let there be an Assassin's Creed 2! I am one of those gamers, who are really excited about the possibility of Assassin's Creed 2. It's definitely a confirmed title from Ubisoft, and one sequel that I'm really excited about. We've learned a few new things over the past few days. One, that there's going to be a PSP version...yay for them. More importantly, is that it will also be on the Xbox and PS3. We'll add more as we learn more, but some of the rumors include swimming lessons for our Hero, Altair, and that the setting may be Venice, Italy, sometime in the 15th century.